Power Ads appear in the center of the Homepage (where all visitors land) in the Advertising Slider Window, as well as on the sidebar of our interior pages resulting in up to 75,000-85,000 viewers per month. See Page 4 of our 2018 Media Kit. We are pleased to offer you advertising space that will reach our 34,000 weekly subscribers. 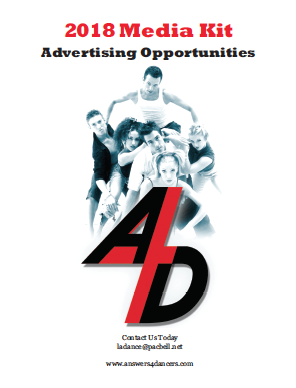 We now offer two options for advertising in the DanceBlast, our Weekly extension of Answers4Dancers.com. You can secure promotional space in two sizes to promote your auditions, intensive or products and services that would be of interest to our readership. Our brand new larger format option is a generous 600 pixels wide ad that links to the URL of your choice and includes a graphic of your choice! Our traditional DanceBlast ad is 300 pixels wide with room for a 200 pixels wide image. See Page 5 of our 2018 Media Kit. Every DanceBlast recipient and there are 30,000 of them), is greeted by the visual dynamics of this premiere feature. Your performance is placed at the top of a timely issue and accompanied by a large event photo w/click-thru. Because of limited placement, we strongly recommend booking in advance. The order of your Hot Performance is based on a first-come-first-served basis. See Page 6 of our 2018 Media Kit. A4D's Social Networking platform will show your message to a growing community of online dance enthusiasts. In addition to being seen as a "highlighted" post on Facebook and Twitter, your posting will also be seen on our Facebook/Twitter wall on the Homepage and interior pages including the “members only” areas of the site. Our social media posts have enjoyed an explosion of activity in recent months. Some posts have received over 85,000 views for a single posting and the numbers are only going up! 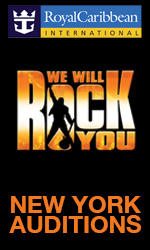 Featured Auditions appear on the A4D Auditions Calendar page and are easily accessible to all visitors. The audition postings are visible to members only, whereas ‘Featured Auditions’ allows visibility to all visitors. That’s 100% of our visitors!! See Page 7 of our 2018 Media Kit. 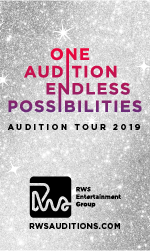 This system is an excellent choice to promote 'time-sensitive' opportunities - when you need to get the word out ASAP to inform dancers, studios, schools, of opportune auditions, master classes, events, and workshops, on short notice. The Alert is promptly delivered to the membership and received directly into their personal email boxes. We now offer all new reduced pricing for our A4D Alert System that includes an image and URL click thru of your choice. See Page 8 of our 2018 Media Kit. All submissions are subject to availability of space. Text and payment must arrive 2 days prior to publication. Payment can be processed by credit card. Contact Nancy Dann at 201-400-7063. Contact NANCY DANN with any questions from 10am-7pm ET, Mon-Fri to provide assistance for all promotional needs. "Thank you again for the help with getting the word out on our auditions, we had a record number in the responses! We also had an article run in the Wall Street Journal on it." "Thank you so much! I have been getting responses all day for the show and I have forwarded your info for your site to the producers to let them know any time they need to hire dancers they should go to you. You guys are the best!!" "Thank you for giving us the gift of Hot Performance of the Week...I have followed your "Blast" for many many years...your DanceBlast is truly a special gift which takes us beyond (local coverage)...so from all of us at Urban Ballet Theater - "Thank You!" and continue your amazing work." "Rangoli Dance Company has worked with Answers4Dancers for PR and Advertising needs for over 6 years. Working with Dance Blast Editor, Mark Schneider has been a pleasure. He is not only professional and helpful, but also has been very supportive of our dance activities. Mark has often offered wise suggestions regarding advertising and marketing. All this has helped us gain a loyal audience, good visibility, and a good following. Thank you Answers4Dancers." "The (teaching) position I listed on your site has been filled. In the old days it was Dramalogue, then they started charging...Craigslist came along, then they started charging...now we have found your service to help us. I received 5 responses and 2 of them were very promising for my needs. What a great service!" "Thank you so much for all your help this year...we had such great response from your website, and of course when we come back you will be the first person I call." "Sunday's audition was a success thanks to Answers4Dancers. You guys are awesome. What you do is phenomenally awesome. We got a response the first day the ad was posted. That young lady relocated here from Chicago! UNBELIEVABLE!!! Thanks so much. I'll be contacting you for more business." "Your site provided our first auditions with amazing dancers and even though we are brand new, because of you, we are performing our first gig tomorrow night." Director / Xtreme Dance Co.
"I love your site. I have several dance projects and because of 'Answers', was able to get some great dancers rather last minute for a shoot we did earlier this year." "I want to thank you for your great newsletter! How helpful and supportive this missive is." "This resource has incited amazing results. I would definitely like to use your services in the future. I have had overwhelming response by excellent, sometimes over-qualified professional dancers/ instructors." "Thank you for your wonderful website! These positions are now officially filled. I'm telling you right now, we would not have had such fortune without this valuable resource to count on. Thanks again a million times!"